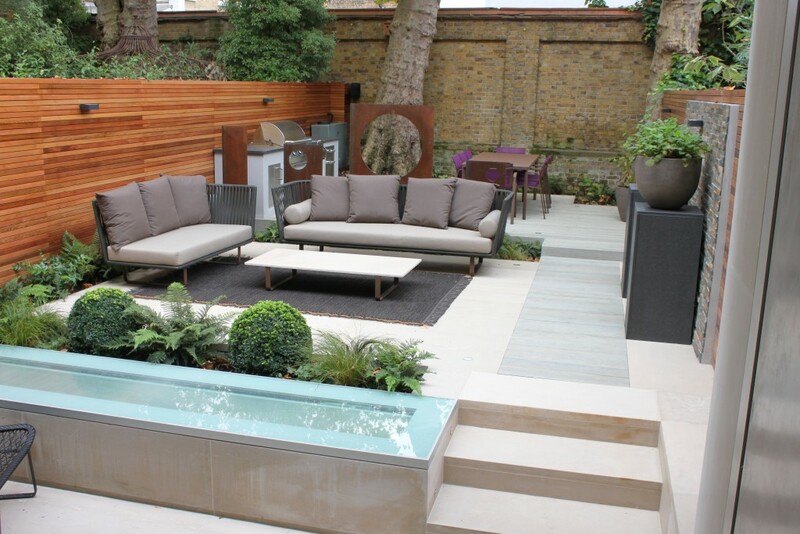 A recently finished contemporary garden design Chelsea Sw3, with 2 main definitive social spaces and subtle compartmentalisation. 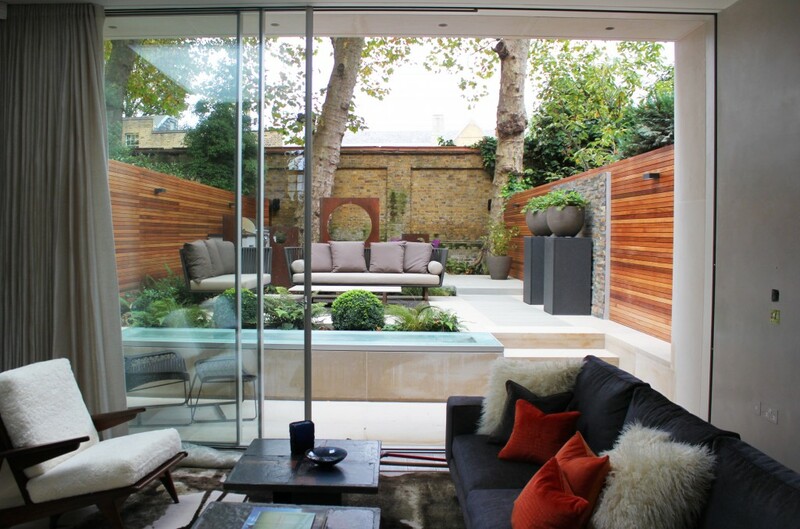 The main premise for this Chelsea garden design and build project, was to extend from the interior, creating an outdoor room ; or rooms to be more precise. 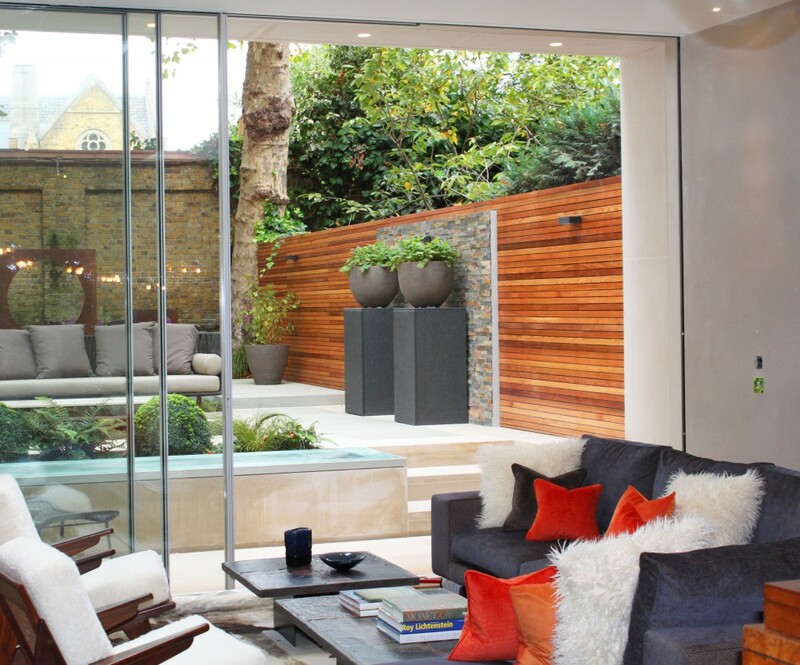 We wanted the garden design to relate to interior and rear extension architecture, and to extend into the garden creating two separate spaces with different functions but still to have a unity throughout. 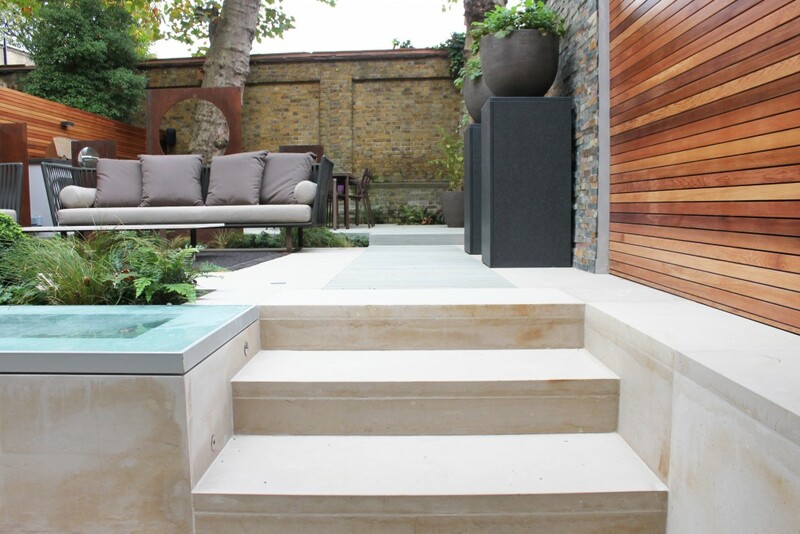 The immediate sawn Portland stone lower landing, to the rear of the house ties into the Portland stone facade of the extension, creating the link between house and garden. The Portland stone is then carried though up the staircase leading you to the lounging area, reinforcing the unity and flow. We worked closely with the Architect MWAI who were redesigning interior and extension of three floors below ground level. The lounging space, defined by the large sized format bespoke Portland Stone, with surrounding beds and feature wall to the right. 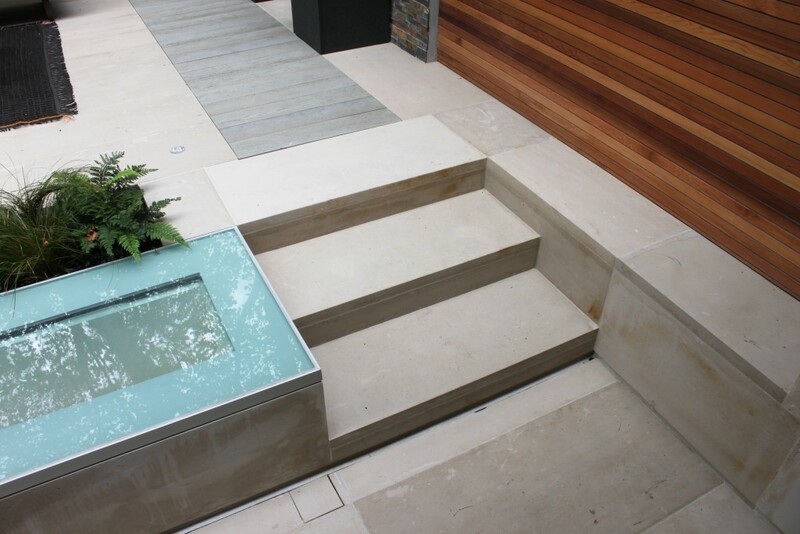 The large formatted stone laid to a contemporary pattern reinforcing the contemporary garden design themes and our intent to create a modern contemporary garden space. 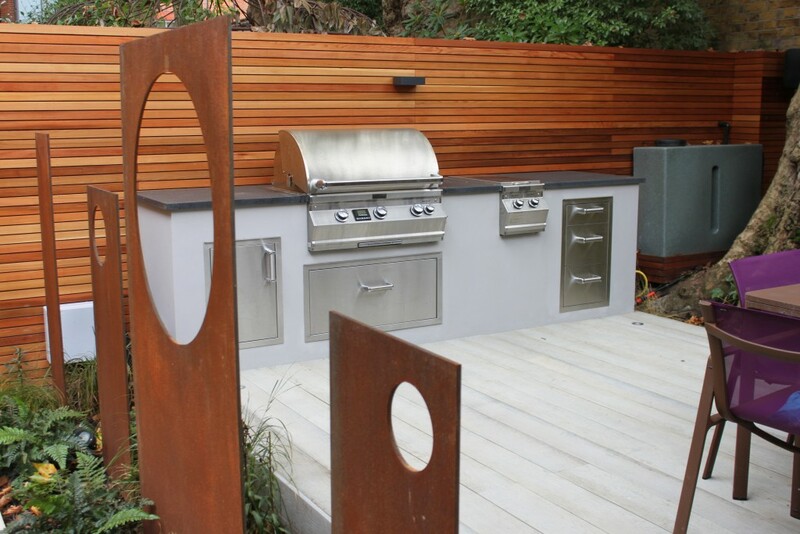 The dining area to the rear of the garden defined by a change of material to a washed grey composite deck. The pathway connecting the two spaces, inviting you to the back of the garden. 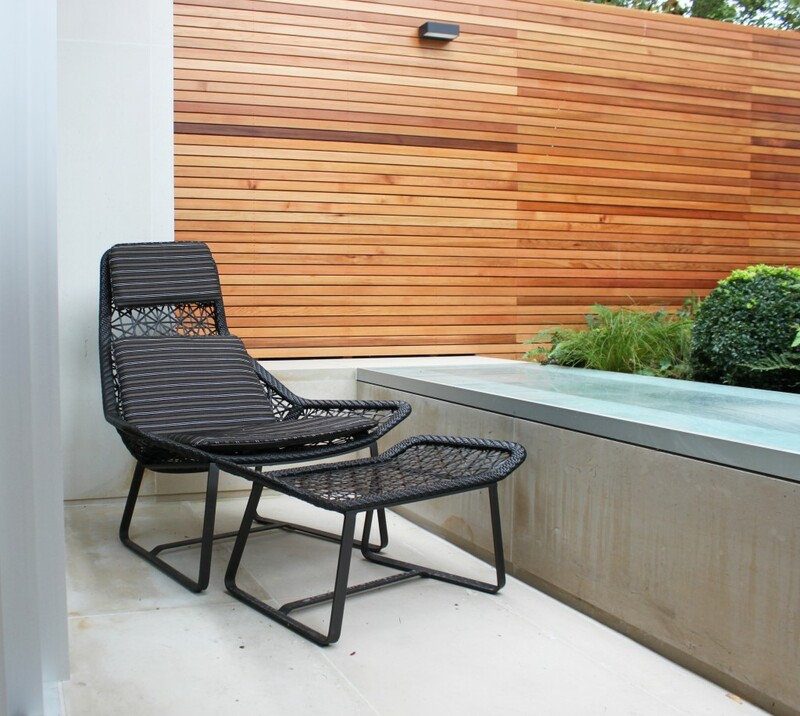 The dinning area housing a bespoke purpose built barbecue with grey granite top. To define physically the partition of the two spaces was key to the design success without closing the spaces down. 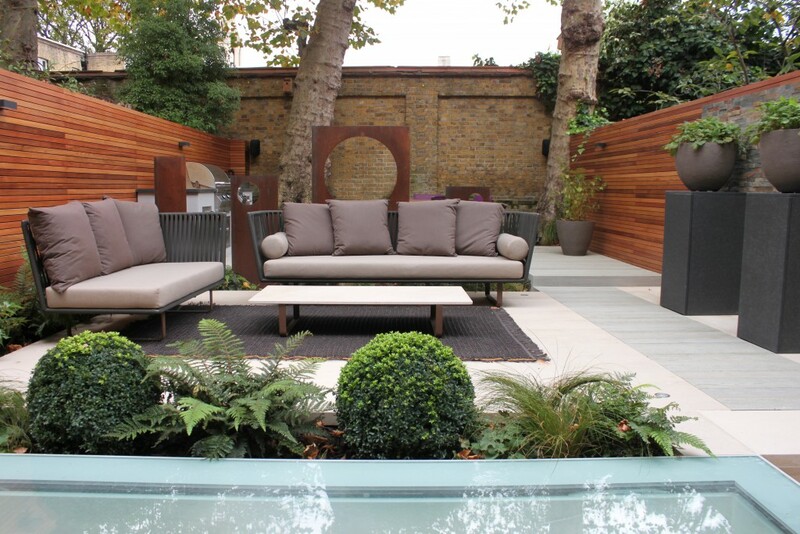 For this, we created a bespoke Cor-ten steel installation. Monolithic, abstract, enticing the eye through and up into the garden, separation and unification, relating to both spaces. The proportion of the pieces were vital and time was taken exploring this relationship both through drawings and physical scale models built on site with play boards colored to effect. 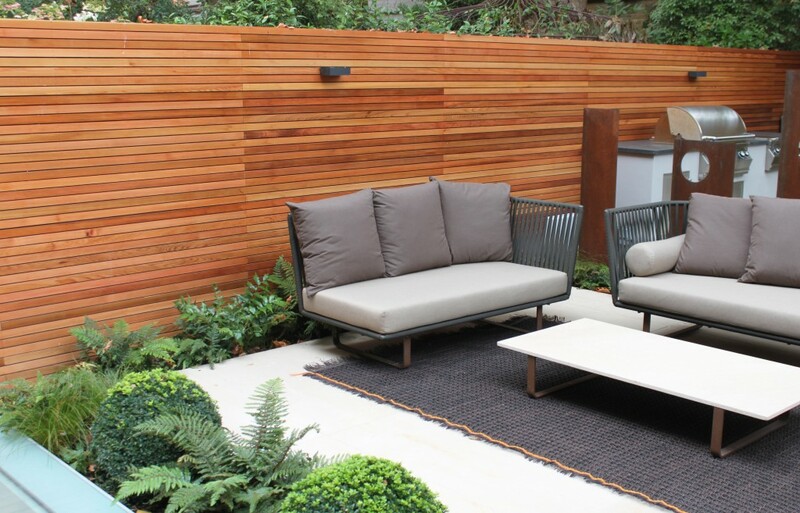 The red cedar venetian style trellis fencing unifies the two areas warming the space. This will gradually silver and blend beautifully with gardens color pallet. As part of the garden Design we were asked to find a way of hiding extract and intake ducts somewhere in the garden. We designed two pot pedestals as disguised housings for the both ducts and created the rustic wall feature as a back drop, bringing visual and physical presence to the space. The rustic walling brings a different and added texture to the contemporary clean material usage and also ties into the existing London stock wall unifying the space. The garden lighting was designed zonally enabling areas to be lit independently with fencing wall spots linking the spaces. A Lutron remote system allowing full and independent control.